What is "Unconscious Bias"? According to Siofra Pratt (2016), "bias is an inclination or prejudice for or against one person or group. In other words, unconscious bias are unconscious feelings we have towards other people – unconscious feelings that play a strong part in influencing our judgement of certain people and groups, away from being balanced or even-handed, in many different areas of life." According to Siofra Pratt (2016), "bias is an inclination or prejudice for or against one person or group. In other words, unconscious bias are unconscious feelings we have towards other people – unconscious feelings that play a strong part in influencing our judgement of certain people and groups, away from being balanced or even-handed, in many different areas of life." One of the most prominent areas of life where bias can play out is the workplace. In fact, one of the strongest biases we have in the workplace is gender bias. Why? Well, our feelings about gender and the stereotypes we’ve all associated with gender are something we’ve developed throughout our whole lives. How we’ve been brought up, where we’ve been brought up, how we’ve been socialized, our socialisation experiences, our exposure to other social identities and social groups, who our friends are/were, as well as media influences, all affect how we think and feel about certain types of people – and especially about what makes a man a man and what makes a woman a woman. • Our Perception – how we see people and perceive reality. • Our Attitude – how we react towards certain people. • Our Behaviors – how receptive/friendly we are towards certain people. • Our Attention – which aspects of a person we pay most attention to. • Our Listening Skills – how much we actively listen to what certain people say. • Our Micro-affirmations – how much or how little we comfort certain people in certain situations. 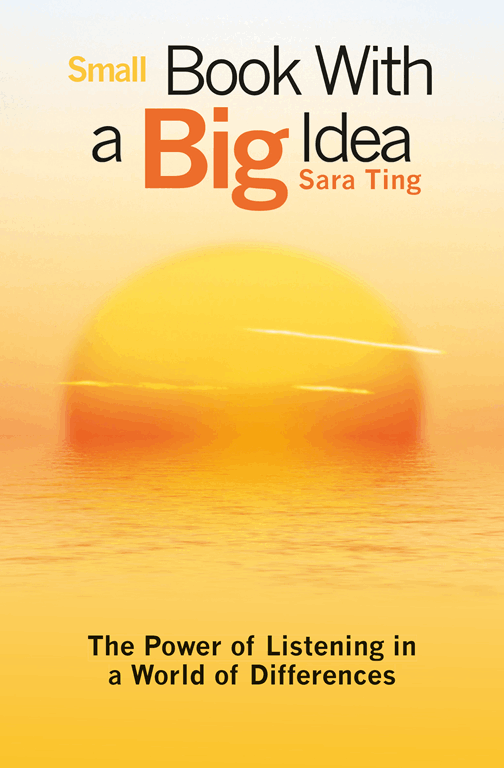 "Small Book with a Big Idea, 5 Minute Training To Empower You can Transform the World,” helps address the unconscious. Comments from Dr. Watkins, Associate professor, Harvard Medical School, “I loved your book, it’s a great resource tool to address diversity and inclusion.” And retired Dr. David Phillips, “Small Book with life changing ideas, dynamite." You can purchase the book either at: Asthesun.com or Amazon.com. Author is donating 15% of sales to World Unity Inc.